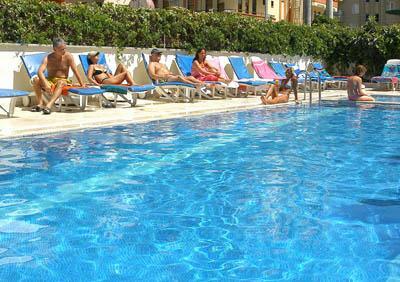 Perfectly positioned in the centre of Alanya, this hotel is close to all the action of Alanya resort. Antalya airport is just 119 km away. 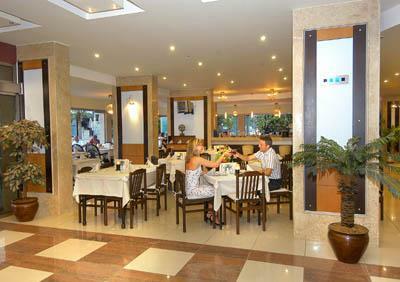 Reception * restaurant * 3 bars * outdoor and indoor swimming pools with children section * children’s playground * table tennis * fitness * Jacuzzi * Turkish bath * darts. 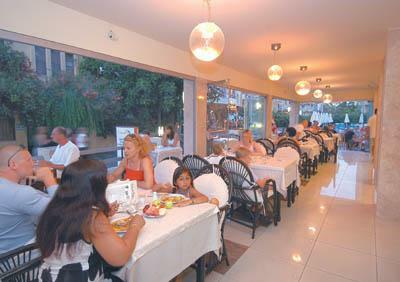 Imported drinks * fresh orange juice * massage * sauna * water sports * ice cream * internet corner. 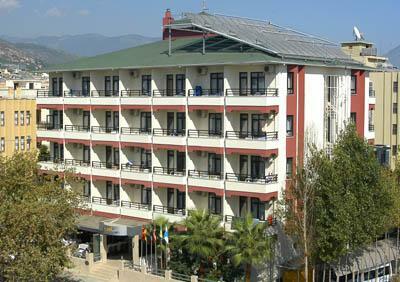 Air-conditioning * balcony * satellite TV * bathroom with hairdryer * telephone safe (free of charge). The famous sandy Cleopatra beach is just 250m away. Sunbeds and umbrellas payable locally. Open buffet breakfast, lunch & dinner, late breakfast, coffee & cake.